I just learned that one of my illustrations (i.e. paintings) made it into annuals for both American Illustration and Communication Arts. These are considered to be the top two illustration competitions in the US. This is the third time that my work has made it into each of them. The judges from the American Illustration competition were Art Directors from The New York Times Book Review, The Wall Street Journal, and ProPublica. 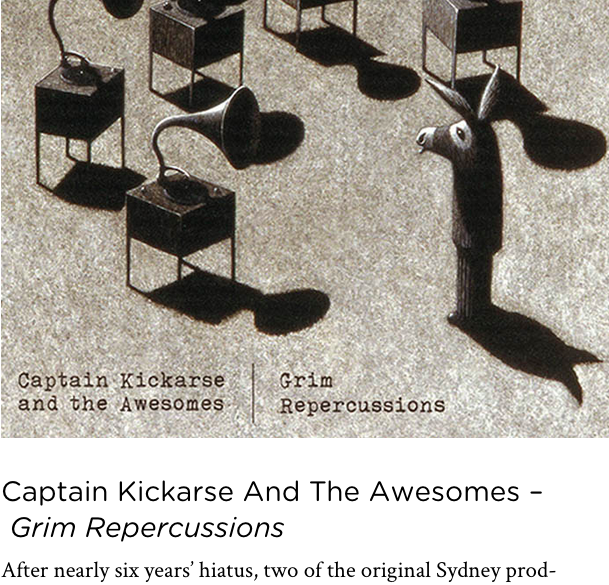 The selected image was the CD cover art that I contributed for the album “Grim Repercussions,” by the Australian band Captain Kickarse and the Awesomes. Looking forward to the exposure from both of these great publications.